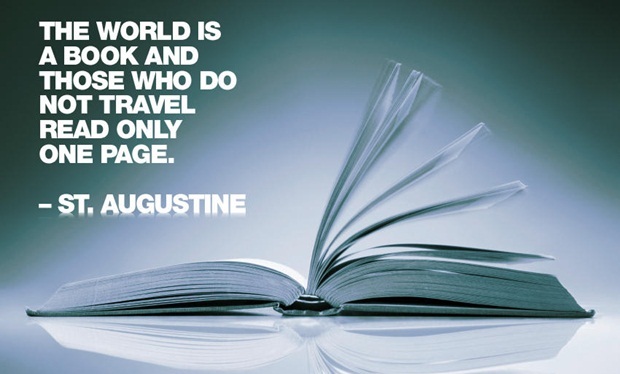 The travel quote, “The world is like a book. Those who do not travel read only one page,” seems to be a simpler version of the above quote from the Srimad Bhagavad Gita. Both highlight the knowledge of the world beyond the reach of our physical senses. To know the world, you need to travel. Standing still at a place or sitting within four walls won’t help. 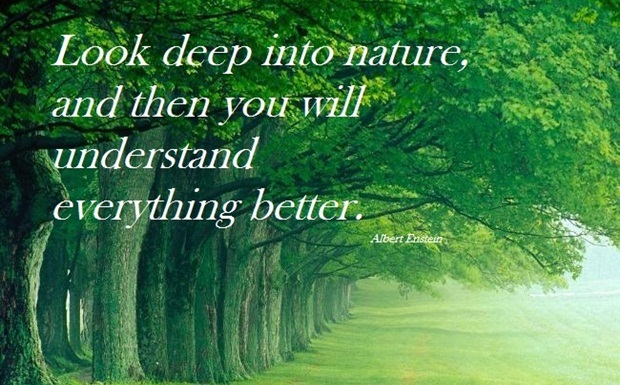 Albert Einstein’s travel quote, “Look deep into nature and you will understand everything better,” is as meaningful as the above teaching from the Srimad Bhagavad Gita. A selfish mind is obsessed with thoughts of the self. It cannot look within itself, and thus it turns blind to wisdom. Traveling to some remote places is an opportunity to look deep into nature and gain wisdom. The selfish mind feels very little in the vastness of nature and gives up the selfish attitude when it is enriched with wisdom. The travel quote, “We wander for distraction but travel for fulfillment,” seems to be born out of the Srimad Bhagavad Gita quote, “For the senses wander, and when one lets the mind follow them, it carries wisdom away like a windblown ship on the waters.” The mind is like a windblown ship which wanders if not driven towards a specific direction. 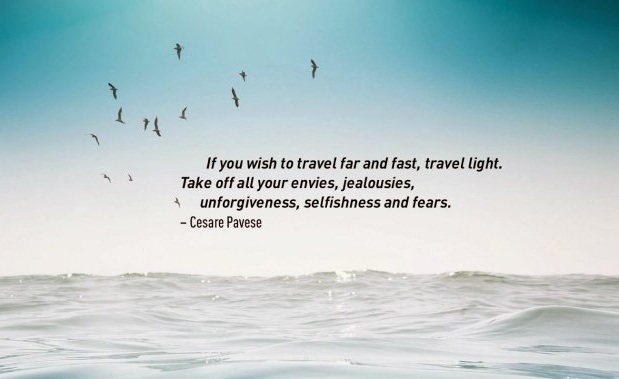 Likewise, if you travel with or for a purpose, it will give you a sense of fulfillment. 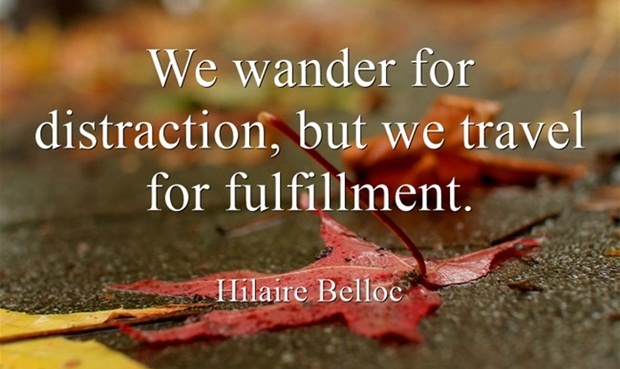 Purposeless travel results in wandering that causes distraction of the mind. 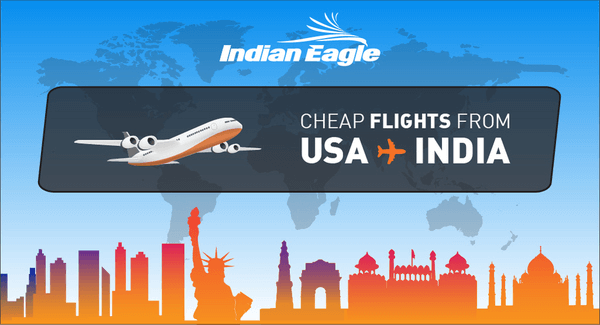 The travel quote, “If you wish to travel fast and fast, travel light, take off all your envies, jealousies, unforgiveness, selfishness and fears,” seems to be inspired from the lesson, “Thoughts about big or small, your or mine should be kept out,” from the Srimad Bhagavad Gita. Both the holy book and travel teach the same thing that petty thoughts, narrow thinking and negative emotions limit the mind’s receptivity for knowledge during the life’s journey on earth. 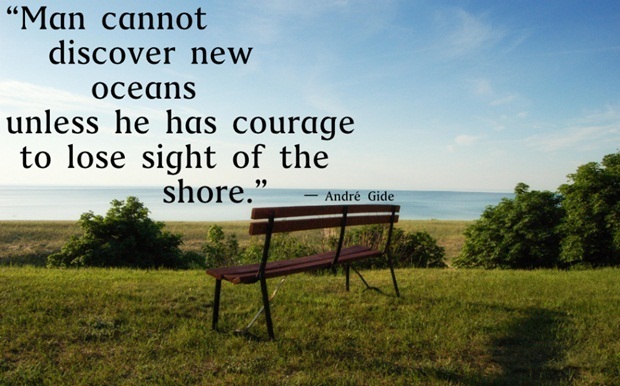 The travel quote, “Man cannot discover new oceans unless he has the courage to lose sight of the shore,” is as inspirational as the Srimad Bhagavad Gita’s teaching to not fear death. Both the travel quote and the holy lesson are reflective of the thought that you can do great work in life unless you are fearless of death. Similarly, traveling beyond the known frontiers and across the unknown geographies is an act of fearlessness. 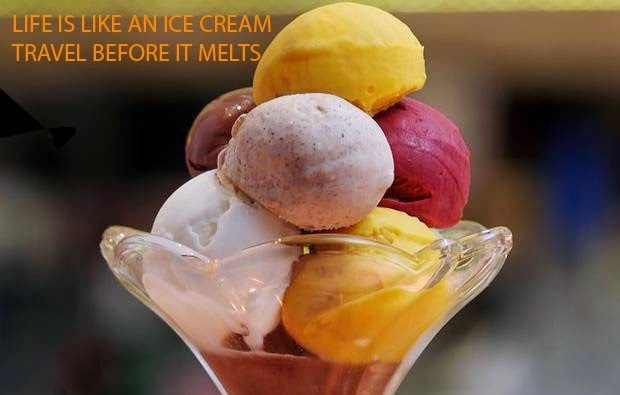 The travel quote, “Life is like an ice cream. Travel before it melts,” seems to be an echo of the Srimad Bhagavad Gita’s lesson on the mortality of human body, “Our body is perishable. Whoever comes to this world surely has to go one day.” One’s earthly life spans as long as one’s body lives. You should travel the world before your lifespan expires and the body is reduced to ashes. 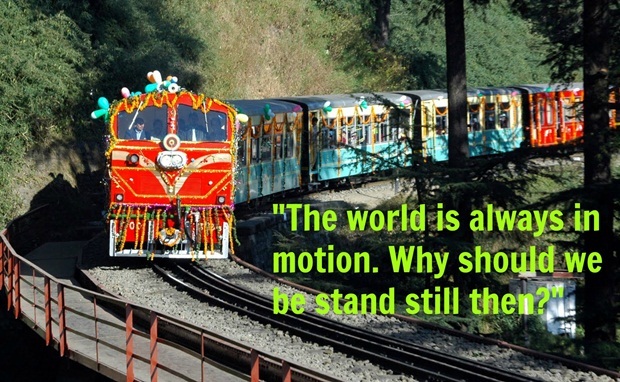 The travel quote, “The world is always in motion. Why should we be stand still then?” seems to resonate with “Do not abstain from action,” a teaching from the Srimad Bhagavad Gita. Both the scriptural teaching and the travel quote advice to get out of inertia of the mind and the body. If work is the key to liveliness, traveling is the secret of happiness. Why should you spend the entire life in one place rather than traveling to different destinations when earth is never at rest?